INDUSTRY.co.id - Jakarta - PT Bank BRISyariah Tbk booked an increase in net profit after tax of 64 percent (yoy) to Rp 54.38 billion compared to March 2017 of Rp 33.17. Director of BRISyariah, Moch. Hadi Santoso, said the increase in net profit was primarily derived from operating income of Rp 956.26. Operating expenses were recorded at Rp 884.25 billion. "The total assets of BRISyariah increased by 21.81 percent (yoy) to Rp 34.73 trillion from Rp 28.51 trillion in March 2017," Hadi said in Jakarta on Wednesday (02/05/2018). According to him, the increase in assets is driven by the growth of financing to Rp 19.53 trillion, growing by 8.62 percent (yoy) compared to March 2017 which amounted to Rp 17.98 trillion. Meanwhile, the collection of Third Party Funds (DPK) of BRISyariah increased significantly by 22.94 percent (yoy) from Rp 23.01 trillion in March 2017 to Rp 28.29 trillion in March 2018. 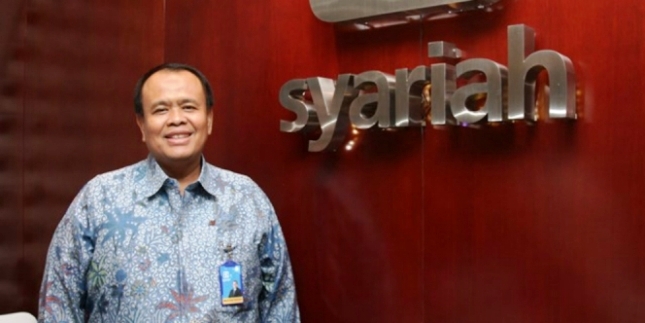 According to Hadi, BRISyariah's performance improvement cannot be separated from the role of the parent company, PT Bank Rakyat Indonesia (Persero) Tbk. In terms of capital, BRISyariah has strong capital. This is evident from the Capital Adequacy Ratio (CAR) of 23.64 percent, an increase compared to March 2017 position of 21.14 percent. The ratio is well above regulatory requirements. Other financial ratios were also positive. Among other things, Return on Assets (ROA) of 0.86 percent, Return on Equity (ROE) of 6.92 percent, Net Rewards (NI) of 5.16 percent, Net Operating Margin (NOM) of 0.34 percent, and Financing to Deposit Ratio (FDR) of 68.70 percent. From the efficiency of the company, BRISyariah is more efficient. It is seen from the ratio of Operating Cost to Operating Income (BOPO) of 90.75 percent, better than the position in March 2017 of 93.67 percent. "While the ratio of non-performing financing (Gross) is 4.92 percent and NPF Nett 4.10 percent, the ratio is still below the regulator's maximum limit of 5 percent," he said.